If we can’t see the ethical stakes (+ power relations) in digital archives we are going to do violence. Born of frustration and still very much a work in progress (gotta get the kids to school)…I have much more to include and I welcome your suggestions via twitter @profwernimont #justDigitalArchives or my ASU .edu email. ‘‘Chuck a Copyright on it’: Dilemmas of Digital Return and the Possibilities for Traditional Knowledge Licenses and Labels’. With Kim Christen. Museum Anthropology Review 7, (1-2) Spring-Fall 2013; pp 105-126. ‘Anxieties of Authorship in Colonial Archives’ in Media Authorship C. Chris and D. Gerstner (ed), New York: Routledge Press. 2013. ‘Options for the Future Protection of GRTKTCES: The Traditional Knowledge License and Labels Initiative’. Journal of the World Intellectual Property Organization 4(1); pp 73-82. 2012. ‘On Resolution | Intellectual Property and Indigenous Knowledge Disputes | Prologue’. Landscapes of Violence, 2(1), Art 4. 2012. ‘Intellectual Property and Safeguarding of Traditional Cultures: Legal Issues and Practical Options for Museums, Libraries and Archives’ Heritage and Society 4(2); pp 253-260. 2012. ‘Intellectual Property Issues in Heritage Management Part Two: Legal Dimensions, Ethical Considerations, and Collaborative Research Practices’ With George Nicholas, John Welch, Joe Watkins, Rosemary Coombe, Catherine Bell, Brain Noble and Kelly Banister. 2010. ‘(Colonial) Archives and (Copyright) Law’ Nomorepotlucks 1(4), July [http://nomorepotlucks.org/site/colonial-archives-and-copyright-law/] 2009. ‘The Politics of Global Information Sharing’ With Kathy Bowrey. Social and Legal Studies 18(4); pp 479-504. 2009. ‘Intellectual Property Issues in Heritage Management Part One: Challenges and Opportunities Relating to Appropriation, Information Access, Bioarchaeology and Cultural Tourism’ With George Nicholas, Catherine Bell, Kelly Bannister, Sven Ouzman. Heritage Management 2(2) Fall; pp 261-286. 2009. ‘The Imaginary Politics of Access to Knowledge: Whose Cultural Agenda’s are Being Advanced?’ With Kathy Bowrey. Australasian Intellectual Property Law Resources 13. 2006. ‘The Politics of Indigenous Knowledge: Australia’s Proposed Communal Moral Rights Bill’ University of New South Wales Law Journal 27(3); pp 585-605. 2004. Moya Bailey. “#transform(ing)DH Writing and Research: An Autoethnography of Digital Humanities and Feminist Ethics,” Digital Humanities Quarterly, 2015 9.2. Michelle Caswell, M Cifor, and MH Ramirez. ‘To suddenly discover yourself existing’: uncovering the affective impact of community archives. American Archivist 79(1) 2016. Michelle Caswell. “Teaching to Dismantle White Supremacy in Archives” Library Quarterly: Information, Community, Policy, vol. 87, no. 3, pp. 222–235. 2017. Khmer Rouge archives: accountability, truth, and memory in Cambodia. Archival Science 10(1): 25-44. 2010. Kimberly Christen (Withey) “On Not Looking: Economies of Visuality in Digital Museums,” in The International Handbooks of Museum Studies: Museum Transformations, First Edition. Edited by Annie E. Coombes and Ruth B. Phillips. John Wiley & Sons, Ltd. Oxford Press, 2015, 365-386. “Sovereignty, Repatriation, and the Archival Imagination.” Collections: A Journal for Museum and Archives Professionals, Spring 2015, vol 11 (2):115-138. “Tribal Archives, Traditional Knowledge, and Local Contexts: Why the “s” Matters.” Journal of Western Archives. 2015, Vol. 6, Issue. 1, Article 3. “A Safe Keeping Place: Mukurtu CMS Innovating Museum Collaborations,” in Museum Innovations: Museums Collections Management, edited by Juilee Drucker. Rowman & Littlefield, 2015, 61-68. “Opening Archives: Respectful Repatriation.” American Archivist. Volume 74, Spring/Summer 2011, 185-210. “Access and Accountability: The Ecology of Information Sharing in the Digital Age.” Anthropology News, “Visual Ethics.” April 2009, 4-5. “Archival Challenges and Digital Solutions in Aboriginal Australia.” SAA Archaeological Record. August 2008, Vol 8, No 2, 21-24. Anthropology in/of Circulation: the Future of Open Access and Scholarly Societies. Cultural Anthropology. August 2008, Vol 23, No 3, 559-588. Dominique Daniel and Amalia S. Levi (eds), Identity Palimpsests: archiving ethnicity in the U.S. and Canada. Sacramento, Litwin Books (2014). Jarrett M. Drake. The Urgency and Agency of #OccupyNassau: Actively Archiving Anti-Racism at Princeton,” In Using Social Media to Build Library Communities: A LITA Guide, ed. Young, S. and Rossmann, D. Lanham, MD: Rowman & Littlefield, 2017. “Power to the People: Documenting Police Violence in Cleveland,” Journal of Critical Library and Information Studies 1 (2) 2017. Co-authored with Stacie M. Williams. Available at: http://libraryjuicepress.com/journals/index.php/jclis/article/view/33. “From Cape Town to Chicago to Colombo and Back Again: Towards a Liberation Theology for Memory Work,” Nelson Mandela Foundation. Co-authored with Doria D. Johnson and Michelle Caswell. Available at: https://www.nelsonmandela.org/uploads/files/Reflection_-_Liberation_Theology_for_Memory_Work_-_Doria_D._Johnson__Jarrett_M._Drake__Michelle_Caswell.pdf. “Off the Record: The Production of Evidence in 19th Century New Jersey,” New Jersey Studies: An Interdisciplinary Journal, 1 (1) 2015. p. 104-125. Available at: http://njs.libraries.rutgers.edu/index.php/njs/article/view/16. “Insurgent Citizens: The Manufacture of Police Records in Post-Katrina New Orleans and its Implications for Human Rights,” Archival Science 14 (3-4) 2014. p. 365-380. “Documenting Detention: Records of Segregation in Two U.S. Prisons,” Proceedings of the 2013 SAA Research Forum, September 2014. Available at: http://files.archivists.org/pubs/proceedings/ResearchForum/2013/Drake-ResearchForumPaper2013.pdf. Review of Import of the Archive: U.S. Colonial Rule of the Philippines and the Making of American Archival History. American Archivist, 77(2) 2014. p. 569-572. Available at: http://americanarchivist.org/doi/pdf/10.17723/aarc.77.2.f0380043r5480186. “How Libraries Can Trump the Trend to Make America Hate Again.” Invited speaker on the featured panel “Never Neutral: Ethics and Digital Collections” at the annual conference of the British Columbia Library Association. Full-text at: https://medium.com/on-archivy/how-libraries-can-trump-the-trend-to-make-america-hate-again-8a4170df1906. Documenting Dissent in the Contemporary College Archive: Finding our Function within the Liberal Arts.” Invited keynote speaker at the Liberal Arts Colleges Preconference of the Digital Library Federation. Full-text at: https://medium.com/on-archivy/documenting-dissent-liberal-arts-e1c69e574ff8. “Liberatory Archives: Towards Belonging and Believing.” Invited keynote speaker at the first of four community archives forums (“Definition, Commonalities and Divergences: What are Community Archives?”) sponsored by the Andrew W. Mellon Foundation’s grant Diversifying the Digital Historical Record. Full-text at: https://medium.com/on-archivy/liberatory-archives-towards-belonging-and-believing-part-1-d26aaeb0edd1. Alexis Pauline Gumbs. “Seek the Roots: An Immersive and Interactive Archive of Black Feminist Practice.” Feminist Collections 32, no. 1 (2011): 17–20. Jessica Marie Johnson and Kismet Nuñez. “Alter Egos and Infinite Literacies, Part Iii: How to Build a Real Gyrl in 3 Easy Steps.” The Black Scholar 45, no. 4 (2015): 47–61. Jessica Marie Johnson: Melissa Dinsman interviews Jessica Marie Johnson. “The Digital in the Humanities: An Interview with Jessica Marie Johnson.” Los Angeles Review of Books. Accessed September 21, 2016. https://class=”js-display-url”>lareviewofbooks.org/article/digital-humanities-interview-jessica-marie-johnson/ …. “Thinking About the ‘X.’” Blog. African American Intellectual History Society Blog, December 12, 2015. http://aaihs.org/thinking-about-an-x/#commentsclass=”invisible”> …. “‘We Need Your Freedom’: An Interview with Alexis Pauline Gumbs – AAIHS.” Black Perspectives, December 13, 2016. http://www.aaihs.org/we-need-your-fclass=”invisible”>reedom-an-interview-with-alexis-pauline-gumbs/ …. David J. Kim and Jacqueline Wernimont. “Performing Archive: Identity, Participation, and Responsibility in the Ethnic Archive,” Archive Journal, Special Issue “Publishing the Archive,” Winter 2013. V. Natarajan and H Mermelstein. “Knowledge, access, and resistance: A conversation on librarians and archivists to Palestine.” in Morrone M (ed.) Informed Agitation: Library and Information Skills in Social Justice Movements and Beyond. Sacramento: Library Juice Press, pp. 247-258. 2014. J Osorio. “Proof of a life lived: the plight of the braceros and what it says about how we treat records.” Archival Issues 29(2): 95-103. 2005 At https://minds.wisconsin.edu/handle/1793/45892. Marisa Parham. “Black Haunts in the Anthropocene.” Black Haunts in the Anthropocene. Accessed December 12, 2016. http://blackhaunts.mp285.com/ . Ricky Punzalan, “Cultural Diversity and Post-Colonial Realities: Challenges of Archival Training in the Philippines.” Archives and Manuscripts 33, no. 1 (May 2005), 289–293. “Archival Diasporas: A Framework for Understanding the Complexities and Challenges of Dispersed Photographic Collections.” American Archivist 77, no. 2 (fall/winter 2014). Mario Ramirez. “Being Assumed Not to Be: A Critique of Whiteness as an Archival Imperative,” The American Archivist: 78 (Fall/Winter, 2015): 2–18. 2. 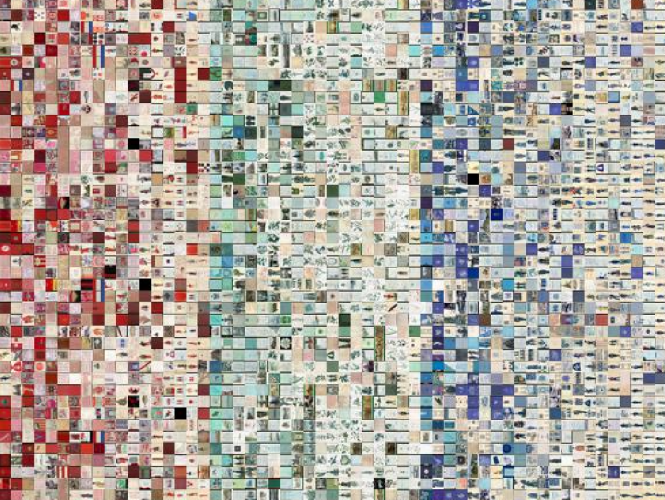 “Breaking and Building: The Case of Postcolonial Digital Humanities.” The Postcolonial World. Eds. Jyotsna G. Singh and David D. Kim. NY: Routledge, 2017. 345-362. “Diasporizing the Digital Humanities: Displacing the Center and Periphery.” International Journal of E-Politics 7.3 (2016): 65-78. “Navigating the Global Digital Humanities: Insights from Black Feminism.” Debates in Digital Humanities 2016. Eds. Matthew K. Gold and Lauren F. Klein. Minneapolis: University of Minnesota Press, 2016. 359-367. “Revising History and Re-authouring the Left in the Postcolonial Digital Archive.” Left History 18.2 (Fall/Winter 2015): 35-46. A Royer. “Warming up records: archives, memory, power and index of the disappeared.” Interactions 6(1): 1-11. At http://escholarship.org/uc/item/5j76z82c. Ivy Schweitzer, “Native Sovereignty and the Archive: Samson Occom and Digital Humanities” in Resources for American Literary Study, vol. 38, 2015: 21-52. Siobhan Senier. “Decolonizing the Archive: Digitizing Native Literature with Students and Tribal Communities” Resilience: A Journal of the Environmental Humanities Vol. 1, No. 3 (Fall 2014). A Strauss. “Treading the ground of contested memory: archivists and the human rights movement in Chile.” Archival Science 15(4): 369-397. 2014. KM Wisser and JA Blanco-Rivera. “Surveillance, documentation and privacy: an international comparative analysis of state intelligence records.” Archival Science 16(2): 125-147. 2015.